EVERETT, Wash., Dec. 2, 2015 – Boeing (NYSE: BA) has completed detailed design for the 787-10 Dreamliner, achieving another major milestone in the development of the newest and longest member of the 787 family. Boeing engineers reached the key milestone nearly two weeks ahead of schedule. 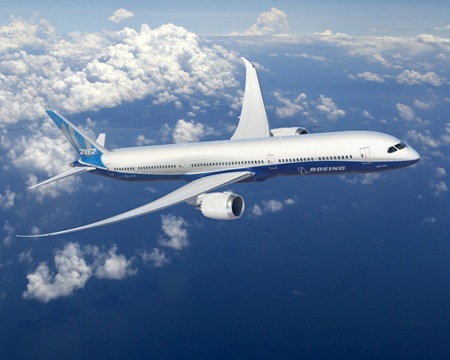 EVERETT, Wash., Dec. 2, 2015 /PRNewswire/ -- Boeing (NYSE: BA) has completed detailed design for the 787-10 Dreamliner, achieving another major milestone in the development of the newest and longest member of the 787 family. Boeing engineers reached the key milestone nearly two weeks ahead of schedule. "With the 787-10, we are building upon our experience and the 787-9 design itself to create this newest member of the super-efficient 787 family," said Ken Sanger, vice president of 787 Airplane Development. "Through our dedicated team and our disciplined processes, we have optimized the design for the needs of the market and are excited as we look forward to production." The 787-10 is the third and longest member of the 787 family. With a range of 6,430 nautical miles (11,910 km), the 787-10 will cover more than 90 percent of the world's twin-aisle routes at a whole new level of fuel efficiency: 25 percent more fuel efficient than the airplanes it will replace and at least 10 percent better than anything offered by the competition for the future.